The global dental x-ray market is anticipated to be advantaged by the surge in the growth of the cosmetic dentistry industry augmenting the application of dental imaging systems. Expected to follow the medical application market, cosmetics could grow at a speedy rate during the forecast period 2017–2025. This is predicted to take shape on account of the rise in the popularity of cosmetic dentistry and the consequent spiraling demand for cosmetic procedures. Moreover, the elevating requirement of conducting oral disease diagnostic procedures to perform routine and preventative oral examinations could immensely fuel the demand in the global dental x-ray market. North America and Europe are envisaged to be among the top markets for dental x-ray with the U.S. and Germany taking a leading position in their respective regions. Some of the dominant strategies foretold to be adopted by key companies include technological innovations and development of new products poised at raising their general cost-efficiency. Extraoral and intraoral x-rays could be few of the high-rated types raking in a handsome demand in the global dental x-ray market. Among extraoral radiographs, cone beam computed tomography (CBCT) could account for a significant share in the worldwide growth of dental x-ray. Bitewing intraoral radiograph, on the other hand, is envisioned to secure a larger share due to its chief applications such as diagnostic and therapeutic procedures for oral conditions. It could also be used for detecting oral conditions before time with safety and patient comfort offered to a significant extent. Dental radiographs, also known as dental x-rays are used by dentists to find cavities, bone loss, benign or malignant masses, and hidden dental structures. A radiographic image is produced by a measured burst of x-ray radiation which can penetrate into the oral structures at several different levels, basically depending on variable anatomical densities, afore striking the sensor or film. Infections, dental caries, and other alterations in the periodontal ligament and bone density, appear dark because x-rays are known for readily penetrating these structures with less density. The predominant type of radiography is mostly analog radiographs, which comprise intensifying screen, film, and cassette. Although analog radiographs are popular, a digital transition is likely to be witnessed over the coming years. The medical community is increasingly embracing radiography with medical specialists recognizing benefits associated with digital systems such as simplicity, integrated storage, and speed. The report is an investigation in the growth of the global dental x-ray market over the last couple of years and in the coming years. 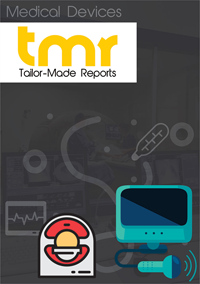 The market research publication further reasons out the causes of the changes in the market across the globe. It does this so by presenting an evaluation of the dynamics and the trends prevalent from the last few years and the ones that are likely to retain an impact during the forecast period. The Porter’s five forces analysis is being taken into consideration for the analysts to provide a clear view of the vendor landscape to the readers. Mergers, agreements, acquisitions, and other partnerships have also been highlighted in the report. The study further delves into the working of the various leading companies along with the information on the products, strategies, and shares of the companies in question. The global market for dental x-ray is expected to witness to substantial growth over the coming years owing to the rising incidences of oral diseases and increasing awareness among people regarding the maintenance of oral hygiene and avoiding periodontal diseases. The primary determinants aiding the growth of the global dental x-ray market are an extensive rise in dental caries and periodontitis, the proliferating demand for dental radiography for the treatment of oral diseases, and sweeping advancements in technologies used in imaging modalities. Demographic factors such as the prevalence of geriatric and pediatric population vulnerable to dental impairments are also further expected to supplement the demand for dental x-ray worldwide. The growing need for diagnostic procedures for oral disease due to rising incidences of cavities and tooth decay is another facet which expected to augment the growth of the global dental x-ray market. Region-wise, the global market for dental x-ray can be segmented into Asia Pacific, North America, Europe, and the Rest of the World. The market in North America is likely to exhibit exponential growth owing to the wide adoption of dental radiography and the shifting preferences of consumers towards the incorporating digital imaging systems. Due the presence of thickly populated countries, Asia Pacific is also expected to emerge as a prominent region in the global dental x-ray market. Some of the leading players in the dental x-ray market are Planmeca Oy, LED Medical Diagnostics Inc., Danaher Corporation, and Carestream Health Inc.